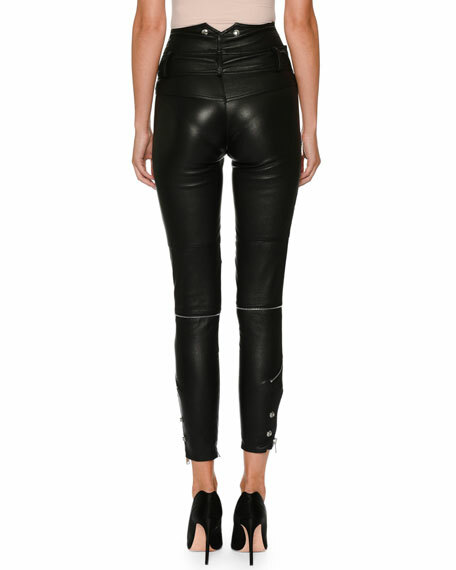 Alexander McQueen biker pants in stretch-leather. Silvertone zipper and snaps trim. For in-store inquiries, use sku #2367519.